Cressida is my adaptation of William Shakespeare's Troilus and Cressida.I narrowed the focus of that play down to the love triangle between Troilus, Cressida, and Diomedes and added speeches and scenes to expand on Cressida's sense of isolation, her sorrow at losing Troy and Troilus, and the pollution she feels after her brutal mistreatment by the Greek generals. 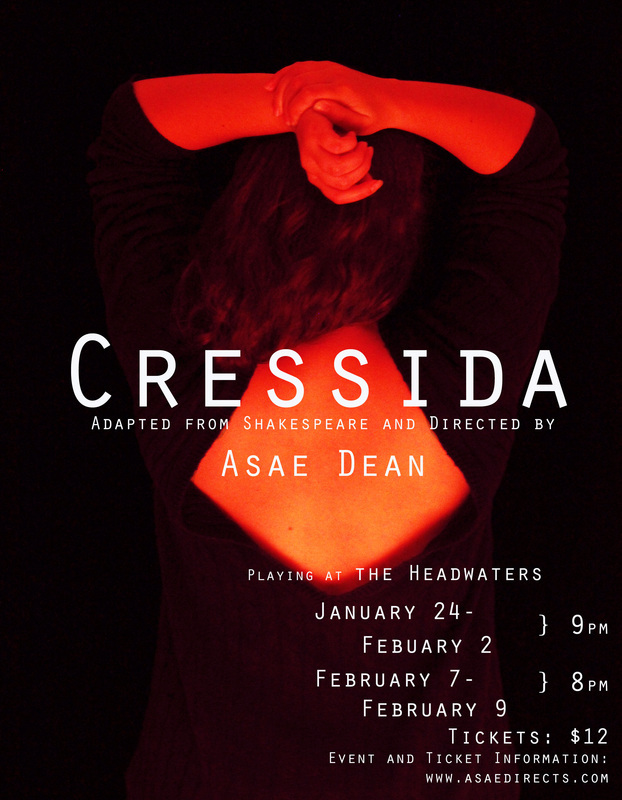 Cressida wrestles with her sexual desires, with the meaning of love, with disappointment, with the failures of her father, her uncle, her husband, her new lover, and finally a world in which the only seemingly available recourse for women are tears, which as she observes "will not wear the stones of Troy or Greece," and prayers which are so numerous that they make the "gods deaf." 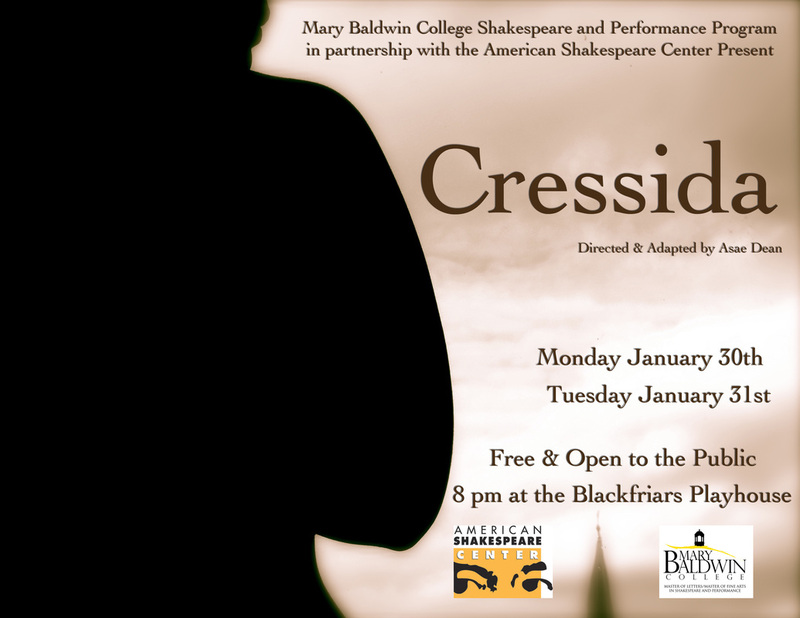 Cressida premiered at The Blackfriars Playhouse in Staunton, Virginia in January 2012. The show was my MFA thesis production and featured Brian Falbo, Johnny Adkins, David Ashton, and Melissa Tolner. A year later, I produced the show in at The Headwaters in Portland, Oregon with Heath Hyun Houghton, Arthur Delaney, Patrick J. Cox, and Allison Rangel. Read about the concept at A Directress or in the Shakespeare Standard article "Notes from the Breach: A Tale of Unmoderated Grief."